Shinedown will go unplugged next year, as Brent Smith and company have announced a string of “An Evening with Shinedown” 2019 tour dates. 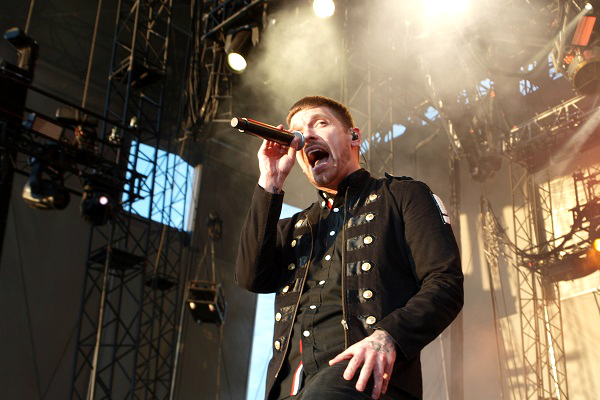 The tour promises an intimate, up-close-and-personal live experience for fans, which is a major departure from Shinedown’s massive arena tour dates this year. The “An Evening with Shinedown” tour will kick off May 6 in New Orleans and run through a May 22 show in Kansas City, Missouri. The shows will be similar in structure to Shinedown’s three previously announced intimate gigs at the House of Blues in Orlando, Florida, on Dec. 27 through 29. Fan club pre-sale tickets for “An Evening with Shinedown” will begin at 10 a.m. local time on Tuesday (Dec. 4), venue and radio pre-sale tickets start at 10 a.m. local time on Thursday (Dec. 6) and general on-sale will start at 10 a.m. local time on Friday (Dec. 7). For additional “An Evening with Shinedown” ticket information, head to Shinedown.com. Along with the unplugged tour announcement, Shinedown has confirmed a date at rock and metal festival Welcome to Rockville on May 4 at Metropolitan Park in Jacksonville, Florida.